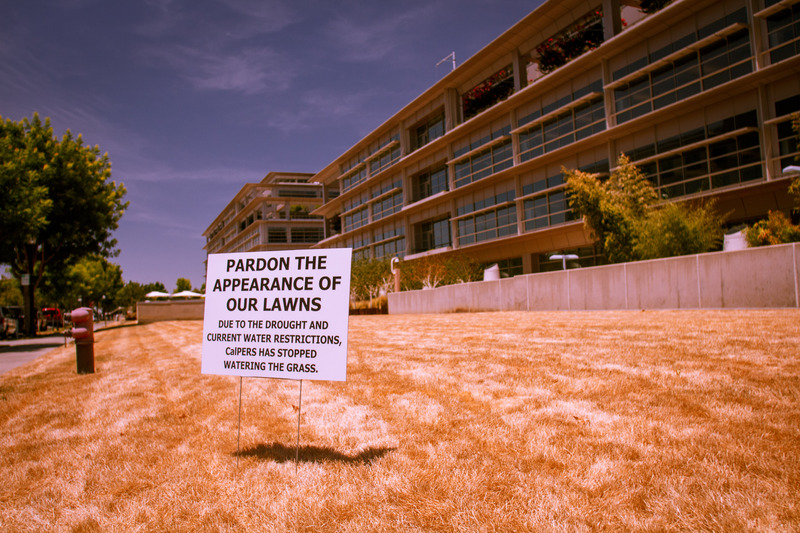 Have you ever thought the problem with California’s drought is not lack of rain but too much sunshine? With the last bit of rain dropping from the sky for two weeks in Los Angeles, Southern Californians are back to hiding from the sun. Life here in Los Angeles County comes with our love-hate relationship with weather, even though California is known for its sun. We may feel cold mornings, dry winds (aka Santa Ana Winds), a breezy night and if we’re lucky, rain, since we are denied a cold snowy winter. Yes, the four-year drought has taken its toll on our climate because we automatically have an early summer especially with the new daylight saving time. In other words- we have too much sunshine. And Californians know what to expect with more daylight; more sunscreen, stylish sunglasses, new sun shades for our cars and trying new air conditioning units in preparation for an early summer. With the ultimate plan to waste it all indoors. Since we have too much sunlight, why not sell it to Oregon, or the East Coast, since those states need some sunlight. All in exchange for water, which we Californians desperately need! Yes, this scheme seems like a long shot, but if you look closely at two cities who are known for excessive water, then there are methods to this madness. With 42 inches of rain per year, greater than U.S. average of 37 inches, and surrounded by rivers you have Portland, Ore., home to many hipsters and a great contestant to trade water for sunlight. But if trading is too mainstream for Portlandians, we can set our hopeful eyes to the East Coast. Bordering Canada and known for its freezing temperatures, receiving 5-7 feet of snow during the winter storm of 2014, we have Buffalo, N.Y. The city of Buffalo averages 94.7 inches annually, so think of the possibilities. You can benefit from collecting rainwater, since its a free service in Oregon. And in New York you can melt the leftover snow and sterilize it till it’s safe to drink. And if it isn’t being used to drink, then what’s the point? A man in Boston, Mass. is currently selling 16.9 ounces of snow for only $20. Kyle Warring says he’ll continue to sell till people stop ordering from his website, shipsnowyo.com. With Kyle Warring’s profits skyrocketing through the Boston sky, he has partnered with Massachusetts Coalition for the Homeless to help those who do not have a roof in this cold season. There are two types of people when it comes to dealing with surplus because last week Kanye West fans were bidding for more than $60,000 for a bag of air from one of Kanye West’s concert last weekend on eBay. Those two tycoons are geniuses for taking resources and selling but we Californians can play our cards right, use their idea and trade our sunshine in mason jars to our top two candidates, it’ll make a difference to get out of this drought. Because we have so much surplus-we’re inside our homes cranking up the AC and binge watching the ten seasons of Friends on Netflix for the third time. As a proud Californian, living in the San Fernando Valley all my life (18 years this April 1), I take the current drought to heart, especially when California is known to supply the nation with fruits, nuts and vegetables, which includes avocados for you guac lovers. Realize it, without water there will be no more California avocados and we will all be stuck with Floridian Avocados or imports, a national tragedy! We’re the nation’s top supplier and with only one year left of available water we need to trade our extra sunlight for water as soon as possible!